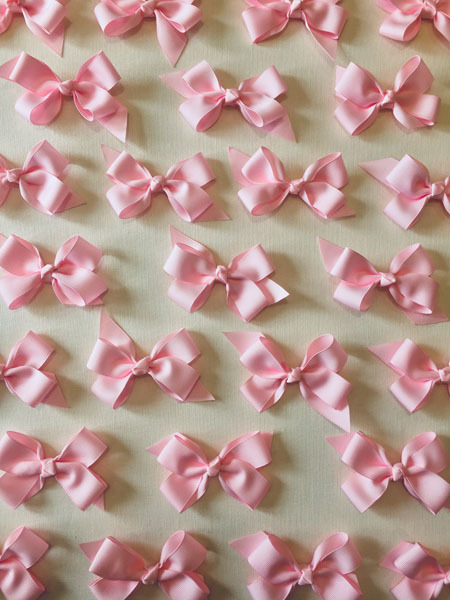 Artist Karen Hawkins is currently in the midst of amassing 52,000 pink bows. the number of substantiated child sexual abuse cases reported annually by Child Protective Services agencies. 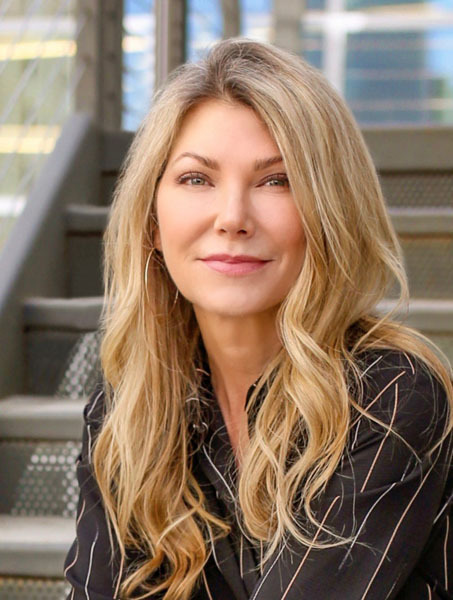 The massive installation, which opens on April 21st at Gallery Shoal Creek in Austin, Texas, immerses the viewer among the panels, which are hung in every direction. “It’s really meant to not just engulf you in it, but to force you to navigate your way through,” Hawkins says. Karen is in the process of collecting what she hopes will be thousands of voices for an audio component that will run on a loop. The first voice will be the artist’s, saying My name is Karen. I was ten years old. “That voice will recede back into the crowd and then another voice will come forward, a different person: My name is Jill. I was six years old, and that will recede back and another will come forward,” Hawkins says.